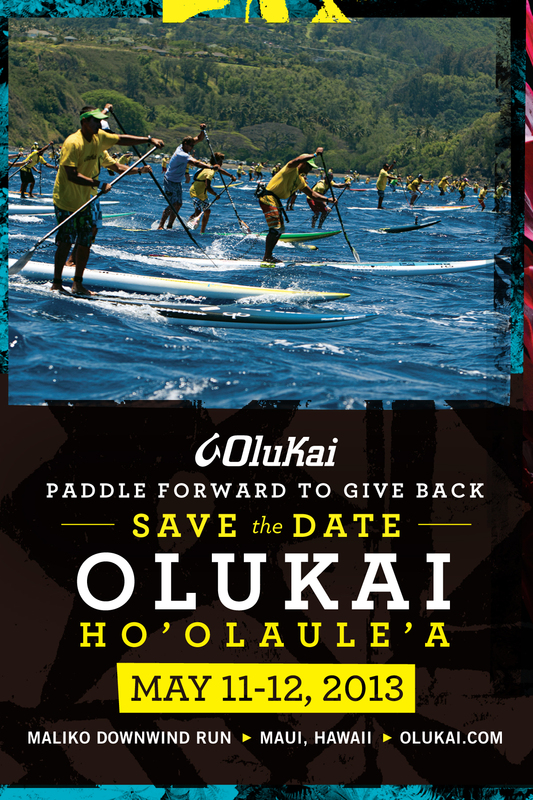 It’s finally about 100 days until the Olukai Ho’olaule’a. That gives anyone willing to put in time and some thought to training for a fun, safe and exhilarating down wind ride time to get prepared. What’s the Olukai Ho’olaule’a? Here’s a wonderful overview, simply click. It seems like such a long time ago when we stood nervously behind the Pai’a Youth Center waiting to do the short “fun run” to the festivities at Kanaha Beach Park in May 2012. Our butterflies were no match for the awesome warm-up and stretch provided by Suzie Cooney, CPT of Suzie Trains Maui. She inspires us – even as she returns the favor. We had no idea how hooked on down wind runs – and the amazing energy and culture surrounding the Olukai Ho’olaul’ea – and how it would impact our entire year. Read about our journey, and then share your story with us. 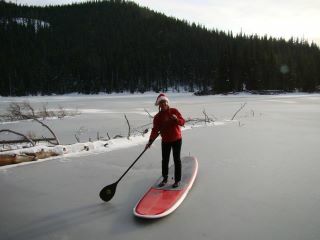 Right now it is not so easy to train in Central Oregon! This entry was posted in SUP Fitness, SUP Racing by Water Words. Bookmark the permalink.